Brian was born with a severe congenital heart defect called Hypoplastic Left Heart Syndrome (HLHS) in March 2000. He underwent three open-heart surgeries, resulting in his current Fontan circulation, all before he turned 2. A fourth open-heart procedure was necessary in 2003 to help treat a condition that developed, Protein Losing Enteropathy (PLE). The PLE went into remission for a number of years but returned with a vengeance in 2010 and still remains out of control today. Brian's heart defect and resulting PLE has caused severe malnutrition, stunted growth, cataracts and osteoporosis. 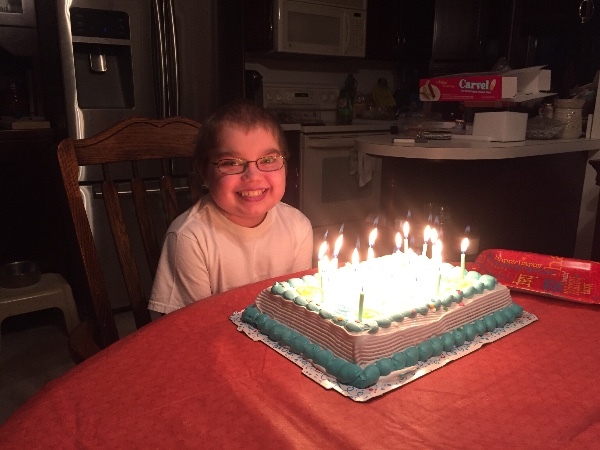 His pediatric cardiologist at Hershey Medical Center had no available treatment options remaining, so Brian was referred to Children's Hospital of Pittsburgh, UPMC, for a heart transplant evaluation. Children's UPMC is the facility recommended by our current medical insurance. 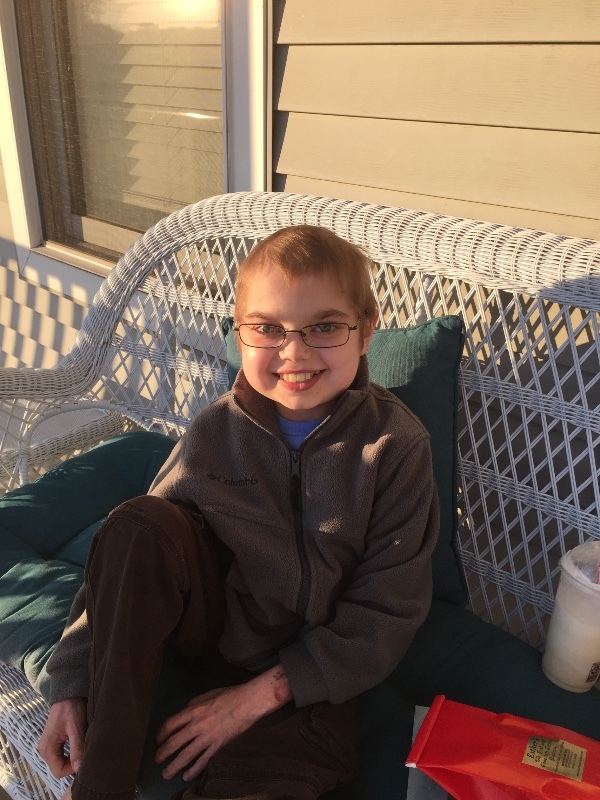 Brian completed his transplant evaluation in late 2014. He had three cardiac catheterizations completed in 2015 to place stents in his Fontan baffle. The hope was that they would improve his PLE and place him in a better physical state for when he receives his new heart. So far, the stents have not worked and Brian was listed as a 1B on the transplant list. 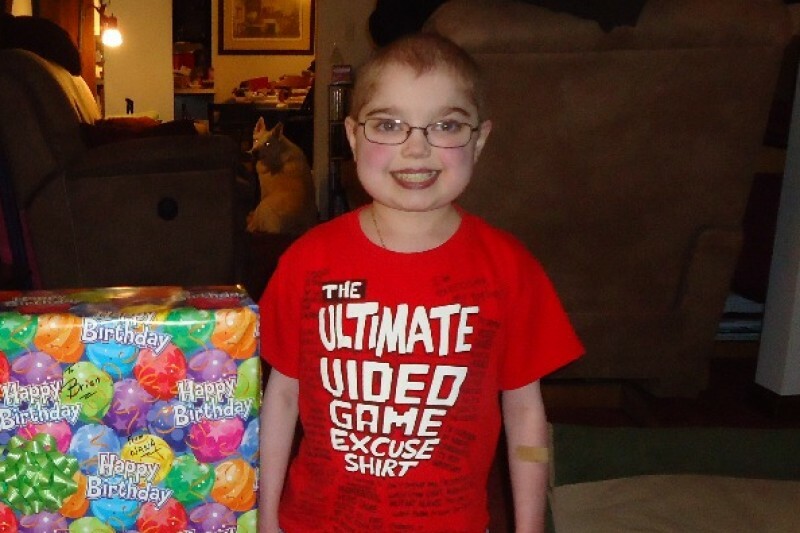 We made a trip to Pittsburgh in June so that Brian could visit the UPMC heart camp, knowing that his transplant doc would be there to keep a close eye on him. She quickly noticed that Brian was not tolerating activity and was retaining a tremendous amount of fluid. She suggested he be admitted to Children's UPMC for heart failure support. Brian had a Broviac port placed and was started on Milrinone therapy (a continuous IV medication for heart failure) on June 22nd. He responded well and was discharged a few days later requiring less oxygen and enjoying greater activity tolerance. His status was also increased to 1A on the transplant list (reality is setting in quick). Our goal was to make sure he remained stable for a week and return home across the state, but that didn't happen. On July 2nd, Brian suffered a major stroke that paralyzed the left side of his body. Thanks to the quick action of his transplant team, they contacted a neurosurgeon from UPMC Presbyterian, who rushed to UPMC Children's and successfully removed a 3cm clot from Brian's brain. In typical Brian fashion, and much to everyone's amazement, he regained nearly full function of the left side of his body. Unfortunately, in the days following the surgery, Brian also suffered a number of tiny strokes in his cerebellum (brain stem). His eye muscle function and vision were impacted, but both have since returned to near normal. Initially, we were going to use the funds raisied for transportation across the state via air ambulance. 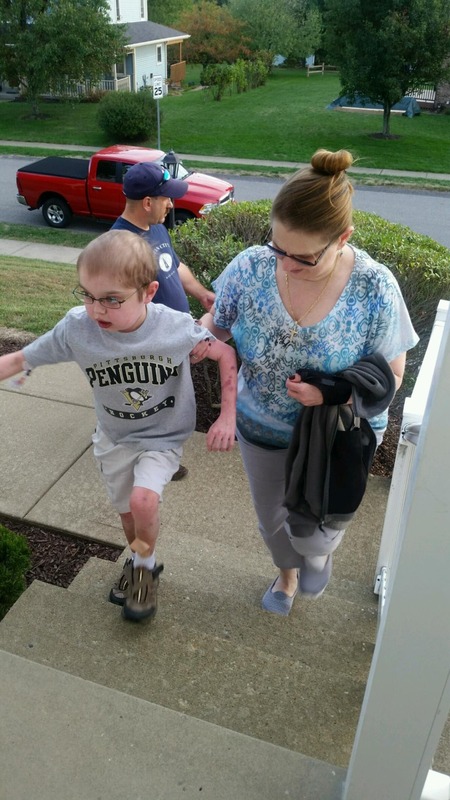 Because of Brian's change in health status, we are now staying in Pittsburgh until Brian receives his new heart. Funds raised will be used to offset the cost of housing (both prior to and at least 6 months following his transplant), meals, medication and medical co-pays, transportation costs in Pittsburgh (and when we are able to travel home), and other ongoing transplant related costs we expect to incur. I sincerely thank each person, from the bottom of my heart, that has donated to Brian's campaign. Words cannot express my appreciation for your kindness and generosity during our time of need. Thank you for taking the time to read about my son's medical condition. Please keep him in your prayers. Brian's appointment with the Rehab Doctor went well. Brian is going to try to last until June for his next round of Botox injections in his left leg and foot. That way , he won't need to be awake! There are many injections and they are very painful. He still has contractions in his foot, but they are definitely improving. He is getting more feeling back in his left hand, but it is still very weak. Brian's new heart is doing fantastic and is allowing him to grow (slowly) and finally gain weight!! As soon as flu season comes to a close, Brian can start PT/OT at an outside facility. I think the additional exercises will help him tremendously to regain hand strength. Heart hugs from Susan and Brian. I know I haven't updated you all in a while. The last couple of months have been a time of rest and rehab for Brian. He has exceeded the insurance time limit for homebound Physical Therapy and Occupational Therapy, so for now, we will continue to work on our own at home until flu season is over and it will be safer for Brian to attend PT at a community facility. We are unsure at this point what the status will be with his SCID (Severe Combined Immunodeficiency). We will get a better idea after bloodwork at the 6-month point and beyond......18 more days!!!!! Brian will have his next heart catheterization with biopsy on March 4th. We won't get the results until the following week, but we are hoping and praying for good results so that we can return to NEPA. It really has been too long. If everyone can say a few extra prayers that we get good results, it would be greatly appreciated! Weakness and numbness are still taking over Brian's left hand and arm. Contractions are still taking over his left foot. Time heals all wounds and we are praying for continued improvement over the next 6 months and beyond. 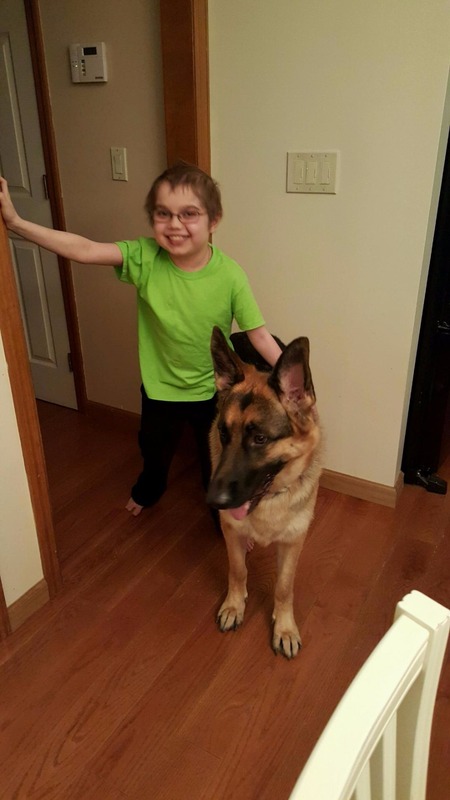 We are still waiting for confirmation that Brian has been approved to receive a service dog to help support him with his mobility issues and PTSD. Once we get some sort of green flag, we will be switched into high fundraising gear, once again. I can't thank everyone enough for their support thus far. The raised funds have been utilized for food, fuel, necessities, medical supplies, and utilities since we arrived in Pittsburgh almost 8 months ago. WOW, how time flies! I will keep you all updated after Brian's next monumental heart cath. in March. Thank you all for your continued love and support and special thanks to the family that gave Brian the ultimate gift of life. You will forever be in our thoughts and prayers. This photo was taken pre-haircut this past weekend. It took 7 months, but Baron and Brian are finally comfortable around each other :-)..
Brian is continuing to recover from his strokes and heart transplant in Pittsburgh. Trying to get ongoing authorizations for his PT and OT is an ongoing struggle and calls to attention how misdirected our health systems are....a hemi-paresis patient is only allowed 3-5 rehab sessions at a time??? He receives treatment from two separate therapists twice a week. I am beyond baffled. Sorry....rant over. Brian is recovering slowly, but I know baby steps will lead to larger accomplishments. He is battling some high blood pressure issues currently. We are unsure of the cause yet or what approach the team will take to correct it. I will keep you all posted on any new developments. Thank you all for your continued love and support of my son. I don't know where we would be without you. Please keep Brian in your prayers! One of our warmer days when his nurse came to visit. Brian is continuing to recover from his August heart transplant and hypoxic brain injury experienced during bypass. He did have a minor setback over the past weekend when he re-fractured a lumbar vertebrae coughing (post-heart cath). All of his bones are still very weak from 12 years of being malnourished, but we are hoping that will change over the next year. Brian is receiving physical therapy and occupational therapy (they visit my sister's house since Brian is extremely immune compromised) with the goal of regaining strength in his left leg and function in his left hand. It has been very difficult watching Brian struggle and not have the ability to use his left hand as he did pre-transplant. He is working hard to wake his fingers up, but they are not easily cooperating. Luckily, we have pinpointed a medication regimen that is controlling Brian's severe RLS! We have applied for a trained service dog for Brian on the advice of his stroke rehabilitation team. The dog will offer physical assistance and bracing as well as PTSD support. More information will be forthcoming as arrangements are made with the organization. Thank you all for your continued prayers, love, and support for my son. We truly appreciate everyone's help as Brian continues on this uncharted transplant journey. He never ceases to amaze us as in the attached photo. On August 20th, he was completely paralyzed on his left side following his transplant. Although he is weak on his left side and getting Botox injections for dystonic contractions in his leg, he is WALKING!! Please keep the positive thoughts and prayers coming, they do work! It was difficult, but Brian did steps! Hugs and prayers for Brian.